Robert Abbey’s stunning Lucy pendant calls inspiration from the Vitruvian sphere used by Leonardo da Vinci’s famous ‘man’. Industrial yet very beautiful, this elegant lamp will bring drama and light to your space. We could even imagine Mr. da Vinci hanging Lucy in his own Tuscan villa. Each arm holds one up-to-60-watt candelabra based bulb (bulbs not included). 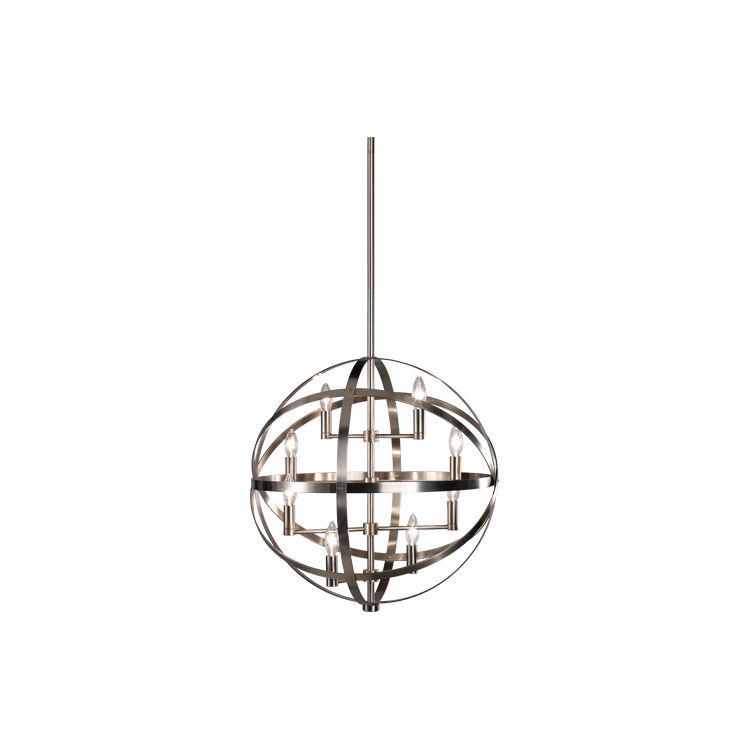 Available in three finishes: D2164 antique nickel as shown, 2164 antique brass, or Z2164 deep patina bronze. Shade measures 22.5″ in diameter. Lamp includes adjustable posts for a total drop (including shade) of 38 3/4” to 68 3/4”. Lucy is designed for hardwire installation into a standard American ceiling junction box.